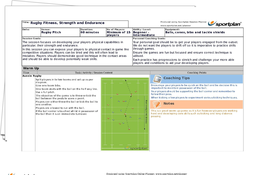 Use this session to help improve your players' physical capabilities, focusing in particular on their strength and endurance. These are two essential aspects of the game which your players need to improve on if they want to play at a high level for the full 80 minutes! With the use of challenging and competitive practices, you'll be testing your players in a game situation, with plenty of tackling and contact going on. 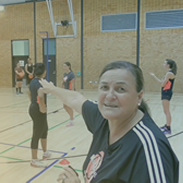 Your players will get tired during a match which could therefore lead to mistakes, so get work on their endurance, increasing their ability to perform continuously for the whole match. With drills to also work on your player's strength, you'll make sure that they can still use the correct technique with skills such as rucking, even they're shattered! Make sure your players don't run out of steam this season!